The twisty, enthralling new novel from the No. 1 bestselling author of Disclaimer. 'Poised to establish herself as a big name' TelegraphLook around you. Who holds the most power in the room? Is it the one who speaks loudest, who looks the part, who has the most money, who commands... read full description below. The twisty, enthralling new novel from the No. 1 bestselling author of Disclaimer. 'Poised to establish herself as a big name' TelegraphLook around you. Who holds the most power in the room? Is it the one who speaks loudest, who looks the part, who has the most money, who commands the most respect?Or perhaps it's someone like Christine Butcher- a meek, overlooked figure, who silently bears witness as information is shared and secrets are whispered. Someone who quietly, maybe even unwittingly, gathers together knowledge of the people she's there to serve - the ones who don't notice her, the ones who consider themselves to be important.There's a fine line between loyalty and betrayal. And when someone like Christine Butcher is pushed to their limit, she might just become the most dangerous person in the room . . .
Renee Knight worked as a documentary-maker for the BBC before turning to writing. She is a graduate of the Faber Academy 'Writing a Novel' course, and lives in London with her husband and two children. Her widely acclaimed debut novel, Disclaimer, was a Sunday Times No.1 bestseller. 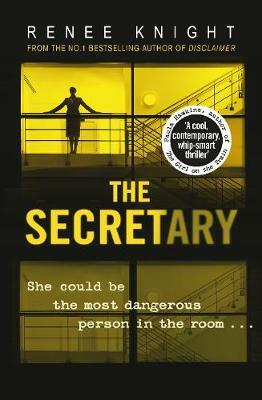 The Secretary is her second novel.